Meeting Packages that have everything you need to ensure a successful and productive meeting. SCorporate clients can choose one of our meeting packages or work with our experienced event planners to customize an event to suit their palates and budgets. Our meeting rooms are equipped with the latest technology including WiFi access throughout the property, full audio-visual capabilities, and much more. 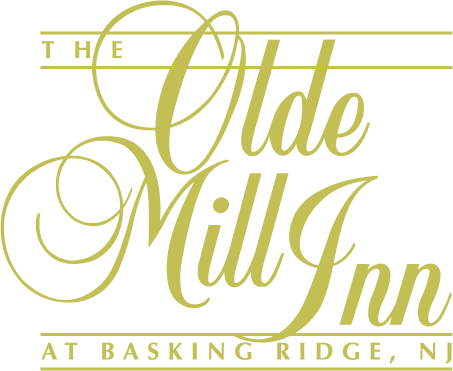 The Olde Mill Inn offers amenities like ample free onsite parking and the full-service Grain House Restaurant on the property, making planning and attending meetings easy. Our conference facility also offers an on-site 24-hour Business Kiosk for your convenience. Plan your convention, general session or cocktail reception in the Washington Ballroom at the Olde Mill Inn, an elegant and sophisticated setting for New Jersey meetings and events for up to 500 people. Or, book an intimate engagement in our exclusive Grain Room located at The Grain House Restaurant, suitable for up to 60 people. During the spring and summer months, plan your “Eco-Meetings” on the seasonally tented Grain House Hunt Room Patio. When seeking a unique venue for your New Jersey meetings, choose the Olde Mill Inn and the Grain House in Basking Ridge for a productive and memorable event.